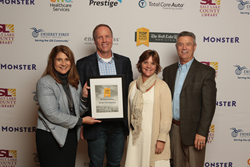 We’re proud to be recognized by The Salt Lake Tribune because it’s a validation of our approach to creating a workplace in which employees can grow and thrive without unnecessary stress or office politics. Engagement and loyalty leader Access Development has been named the top midsize employer in the state of Utah by The Salt Lake Tribune. Chief Executive Officer Casey Kleinman received a special leadership award, one of three honorees to be recognized. The Salt Lake Tribune presents its Top Workplace awards based on employee survey results that measure aspects of workplace culture such as alignment, leadership, and connection. Access was specifically noted for its relaxed, team-oriented atmosphere, flexible working policies, and commitment to wellness. Full-time Access employees enjoy such benefits as 401(k) matching, regular company parties, at least 15 days of PTO, parental leave, membership in the nation’s largest employee discount program, and more. Kleinman’s award was based on employee responses to the statement, “I have confidence in the leader of my company.” Along with other honorees, he was profiled in an article that can be read here. 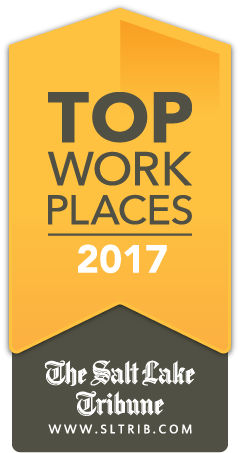 2017 marks the second consecutive year Access has been honored by The Salt Lake Tribune Top Workplaces program. The award is Access’ fourth workplace honor in the past 12 months. Earlier this year, Access was recognized as a Healthy Worksite by the Utah Worksite Wellness Council, as well as a winner of the 2017 When Work Works award. In late 2016, Access was named Utah’s Most Psychologically Healthy Workplace by the Utah Psychological Association. For more information on Access Development’s office, culture, and open positions, please visit https://AccessDevelopment.com/careers.